If you're coming to Tokyo for a little bit I recommend spending the day in Odaiba. Its a short train ride away to a small island area. There are lots of outlet malls, beaches, a mini statue of liberty, incredible night views and my favorite the Oedo Onsen Monogatari. 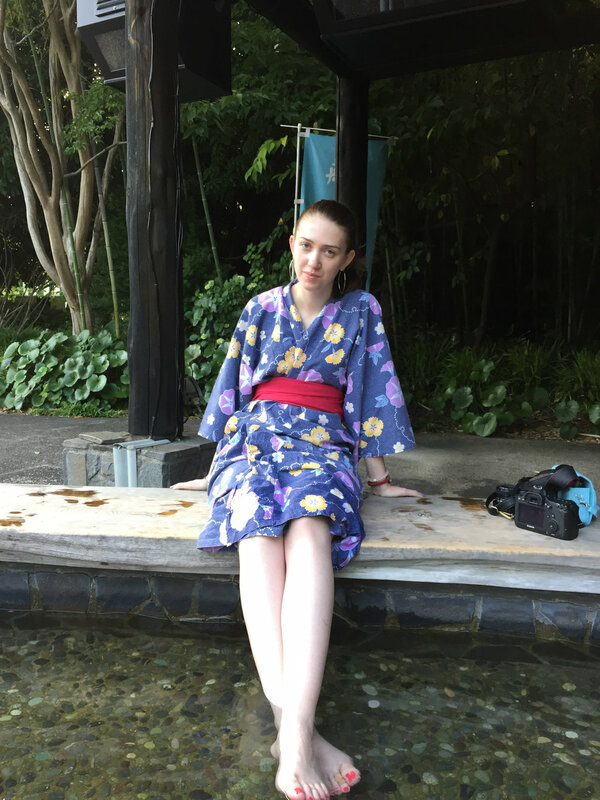 The onsen has an outdoor area where people of all ages can sit and soak their feet in little rivers. But if you want to pay a little more you can separate from this area and go to the gender divided hot springs. This time I went with my boyfriend and we enjoyed staying outside in the foot baths. It was really nice to sit outside and see all of the families and groups of friends sitting around laughing and enjoying themselves. So if you're coming to Tokyo with a group of people this is a great place for you guys to come and enjoy. 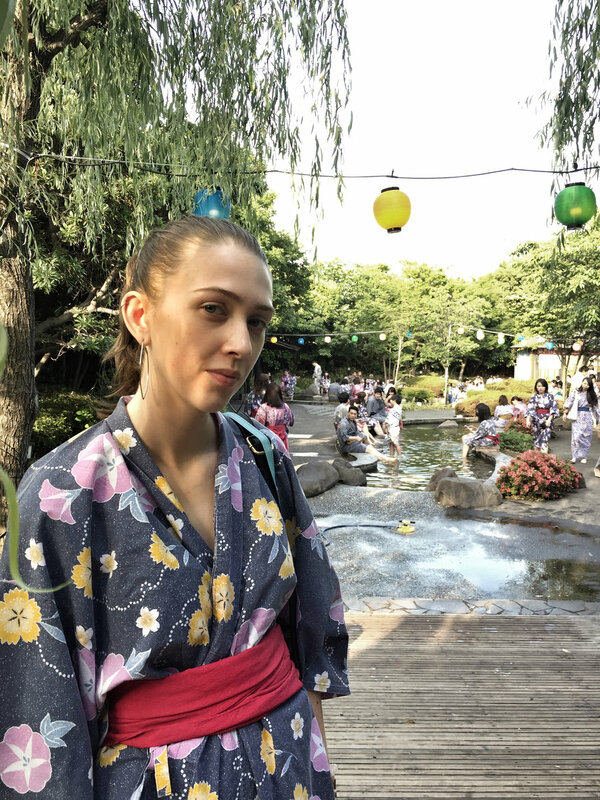 A part of what you pay for going in is a yukata and belt rental. If you're like me and have trouble putting on the yukata there are staff in the changing rooms who are really nice and can help you. Inside, next to the onsen area, is a large food court kind of space. It has lots of different restaurant stalls with lots of long tables in the middle where you can sit with everyone. You use a bracelet to pay for everything so it is a bit hard to remember how much you're spending but it is still a lot of fun! I highly recommend going to Odaiba for the night scenery. Personally what we did was we went to the onsen and then the outlet malls and then watched the lights around the rainbow bridge and the lights in Tokyo. I hope this helps you plan your trip to Odaiba!